Manchester United captain Wayne Rooney will not be allowed to join any English club, not even Everton. According to the latest reports, it is understood that Manchester United captain Wayne Rooney simply cannot join any English club if he leaves the Red Devils. This clause is said to have been in his current contract at Manchester United. In a recent interview with sports outlet Calciomercato, Italian football agent Morabito revealed how Rooney was offered to Napoli in the summer. Morabito was quoted as saying: “I know for a fact that he was offered to Napoli as he can’t go to other English clubs, which could lead him to Spain and Italy. Wayne Rooney is currently the highest-paid player in the Premier League, earning £300,000 a week. But there are reports that Manchester United manager Jose Mourinho is looking to offload the veteran striker. Recently, Everton boss Ronald Koeman said he would be happy to welcome the former Toffees forward back at the club. But it is highly unlikely that Mourinho will sell Rooney to an English club. 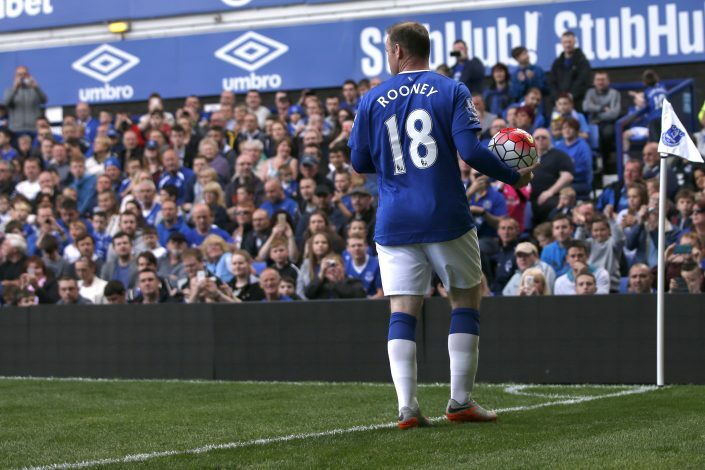 Rooney could potentially become one of the available superstars in the next transfer window. Morabito also claims that England man’s wages are a major problem in negotiating a transfer. “He certainly doesn’t have a good relationship with Mourinho, and therefore his future is far from United, even on loan, to give them more room,” said Mobarito.